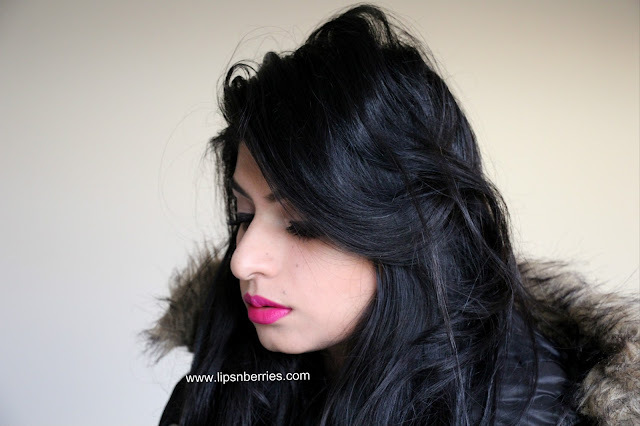 MAC Lipstick in Flat Out Fabulous- Review + FOTD + LOTD | LIPS n BERRIES! If you're looking flat and want to look fabulous..reach out for 'Flat Out Fabulous' ! Cheesy I know but holds true for this lipstick. It can totally transform your face. This demands attention and gets you compliments. 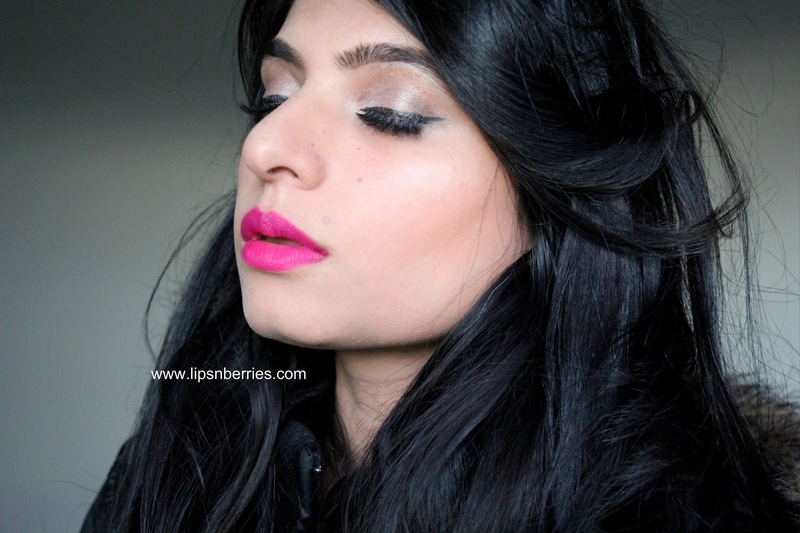 MAC's Flat Out Fabulous is a stunning plummy pink lipstick. Its bright, bold and opaque! It's Ruby Woo and All Fired Up's cousin. They are all from the same family actually- Retro Matte! Yep.That dreaded matte formula. It's THE ultimate matte. Yes its drying but its workable. And its loooong wearing which makes it so worth it. 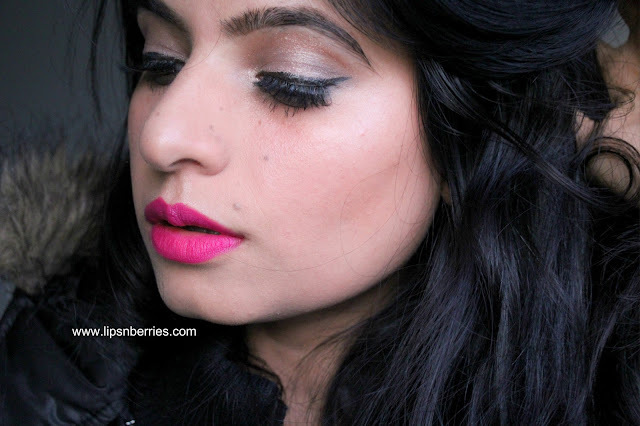 Retro matte is definitely not my everyday kind of finish but its my preferred choice for Indian weddings. I never have to worry about them bleeding or leaving my lips. No wonder I've reached out for Ruby Woo and All Fired Up at my friends wedding late last year. And that's precisely why I wanna own all other shades from this family- Dangerous I'm coming for you! 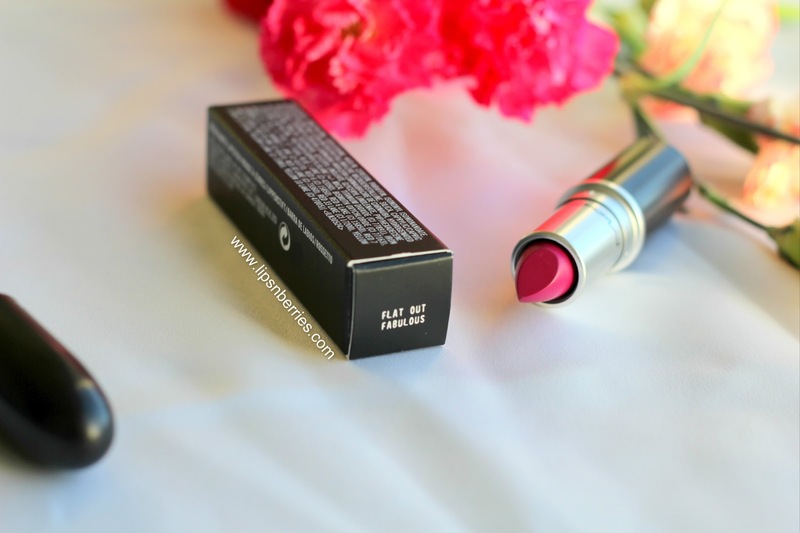 Flat Out Fabulous is an intensely pigmented purplish pink on my NC 32-ish warm complexion. It's a universally flattering shade. MAC describes this shade on their website as 'Bright plum matte'. 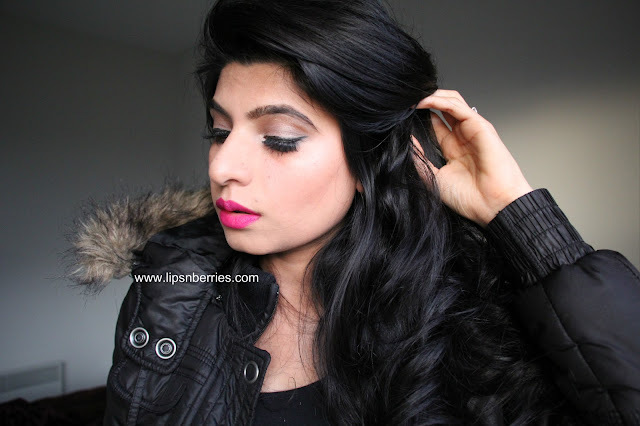 In this look I've paired it with falsies (Ardell 118) and a lot of black to let lipstick take the cake. 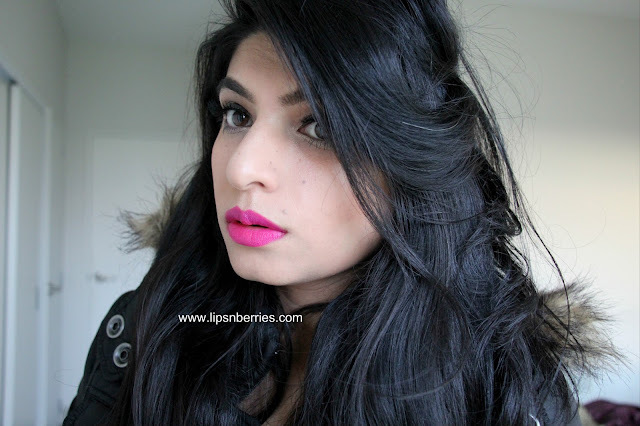 The lipstick stays on my lips for an easy 6 hours and leaves a very heavy stain behind. It doesn't matter what makeup remover I use to take it off.. I still have pink lips the next day. If you have dry lips (like me), it's guaranteed Retro matte formula will tug your lips and you'll struggle to put it on. So its absolutely essential to prep lips with lip scrub followed by lots of lip balm / lip primer. Wipe off excess balm before applying lipstick and the lipstick should glide on your lips easily. A pink/plum lip liner and several blotted coats of lipstick will prolong the stay even more! In the look, I don't have any lip liner on to show you the true color of lipstick. Purple/plum is a new category for me so I don't have any close dupes of this in my stash YET but I'm sure that'll change. Remember how I said MAC's new Vamplify Lip Gloss in 'How Chic is This?' is similar to Flat Out Fabulous? I was so wrong..so so wrong. Check out their swatches side by side. 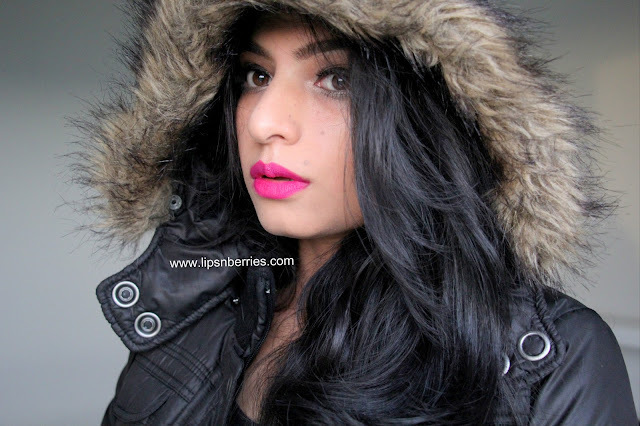 While Flat Out Fabulous is a Pink with some Purple tones, the Vamplify Gloss is a true purple. Two entirely different shades. I love them both dearly. This one a wee bit more (I have a thing for matte's!). What about you? 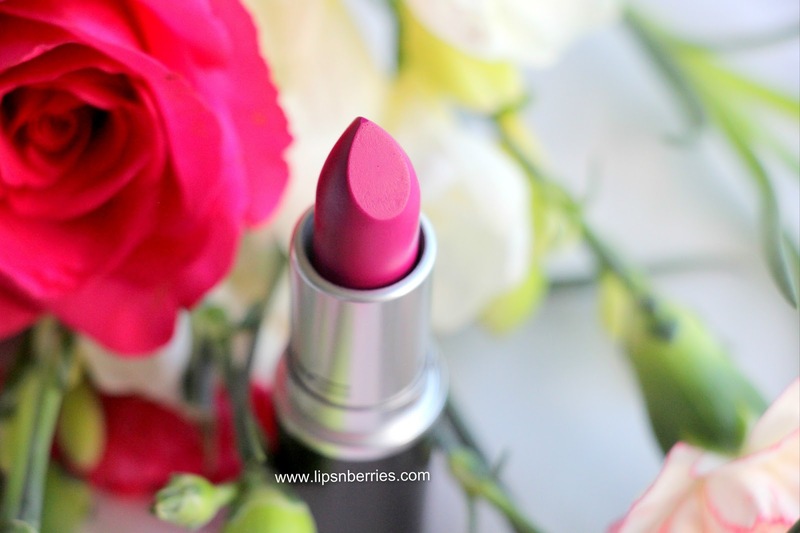 Are you into purple/plum lipsticks? What are your best recommendations for me? Did you like this look? Talk to me in the comments below. P.S. 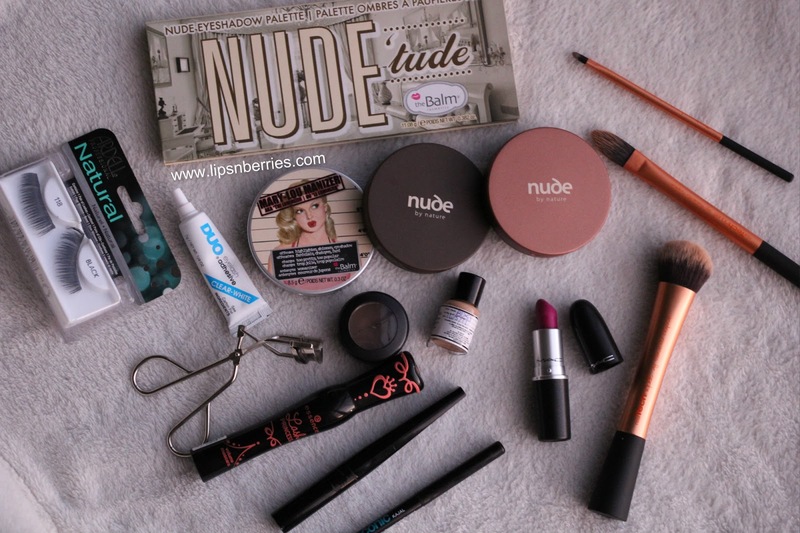 Makeup of the day! 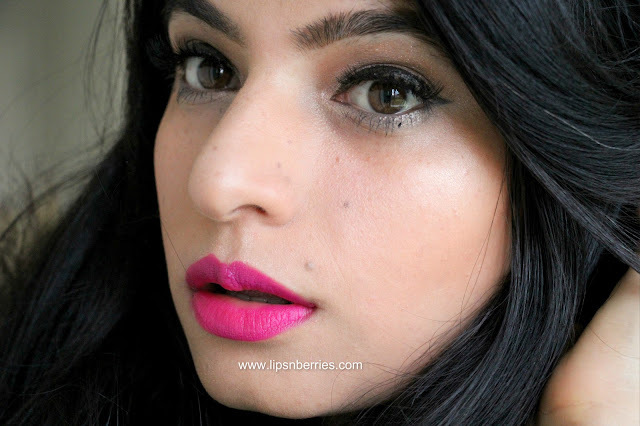 Loved the YSL Fusion Ink Foundation (sample) on my skin. Super light with great coverage. I'm shade BD50 if you're wondering, NC 32-ish in MAC.